The already bad state of the Nigerian economy may be in for another major shock, as the National Association of Enterprise Employers (NAEE) organizers of the National Entrepreneurship Empowerment Programme (NEEP), has described Federal Government's Anchor Borrowers Scheme as a scam, threatening to go on a two-week strike to register its displeasure with government. The group, which also accused the Governor of the Central Bank of Nigeria, CBN, Godwin Emefiele of frustrating its efforts and that if its members from accessing the many credit facilities and grants put in place by the Federal Government, made the strike threat in an open letter to President Muhammadu Buhari. The letter signed by its Dr., Ukai, Solomon James Akpan and Hon. Sir, T.C Koko, President and National Secretary respectively, the decision to embark of strike and peaceful protest was taken at its last National General Meeting held in Uyo, the Akwa Ibom State capital on the 9th of November. The strike is expected to commence on the 21 of December, 2018 and end on the 4th of January, 2019. Threatening to bring all buying and selling of goods to a standstill, the group said it has applied to the CBN for a grant for its members for more than three years without any response from the apex bank. "It is for three years (3) now that our body have applied for a grant of Two Hundred Billion Naira only (N200,000,000,000.00), to be disbursed to Four Million, Eighteen Thousand members (4,018,000) across the nation, but there is no response from the CBN. 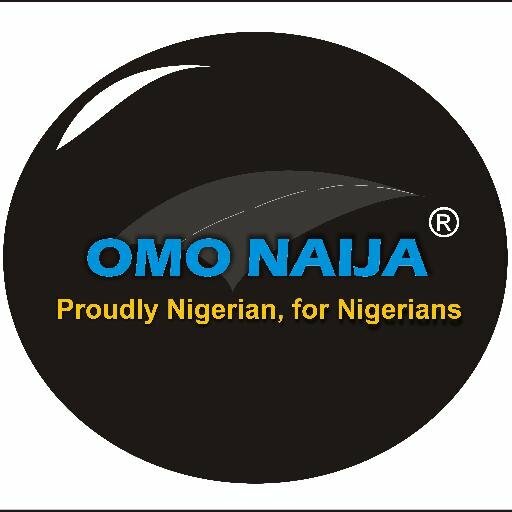 "Since the CBN is making life difficult for the young and old Business Entrepreneurs by not allowing Entrepreneurs to access the numerous Empowerment Grants, to help us improve productions so as to reduce the prices of goods and commodities in the country, hence the warning strike/Peaceful Demonstration. "We observed with dismay, that even the ANCHOR BORROWER Scheme and many other schemes, has proven to be a scam", the group said. 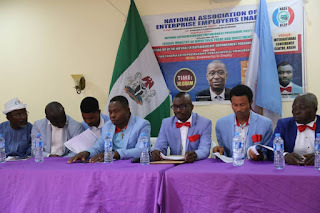 The letter reads: "We the above named National Association, operators of organize private sector Business Entrepreneurs, hereby write to notify the Federal Government of our proposed Two weeks warning Strike/ Peaceful Demonstration. "That the Association will embark on a Nationwide warning strike/Peaceful Demonstration for Two weeks, with the engagement of our Nationwide Taskforce members for proper and lawful enforcement of the strike. "That the said strike will commence From Friday 21st December, 2018 to Friday 4th January 2019. "That the strike and protest is not borne out of bias or selfish interest, but is to improve productions which will help reduce the prices of goods and commodities in the country. "That once the CBN harkens to our plea of providing us with the requested Grant, the strike and protest will be called off with immediate effect. "That if Mr. President, gives our request an outmost priority, the Association will support his efforts of putting a capital full stop to the high cost of goods and commodities in Nigeria." Giving the reasons for the proposed strike and demostration, which may group both production and commercial activities from small and medium scale businesses, the group said: " it is for Three years (3) now that our body have applied for a grant of Two Hundred Billion Naira only (N200,000,000,000.00), to be disbursed to Four Million, Eighteen Thousand members (4,018,000) across the nation, but there is no response from the CBN. "We observed with dismay, that even the ANCHOR BORROWER Scheme and many other schemes, is proved to be a scam. "Consequently therefore, we have come to the conclusion that all buying and selling of goods and commodities will be at stand still for two weeks until the CBN gives us the reason why they are not responding to any of our application letters sent to them by our Association or even give directives to where or whom we can approach for positive actions, which can be of help in the area of employment and job creations, that will drastically reduce unemployment and youth restiveness in this era of uncommon war against corruption of the present administration. This, we believe will also help to put a stop to unnecessary unionism which is capable of hindering the economy and peaceful co-existence of Entrepreneurs than holding our dear nation to ransom. "We are pleading with your office to please bear with us for now that we are expecting you to give directive to the CBN Governor to invite us for dialogue and respond to our plea." It will be recalled that the President Buhari led administration has consistently made the several grants and fund interventions for small and medium scale businesses, especially through the Anchor Borrowers Scheme as one of its many achievements in office that has helped steered the economy away from recession and on the path of growth. The threat by NAEE may however compound the the woes of the economy, which President Buhari painted in the negative in a meeting with state governors on Friday in Abuja.